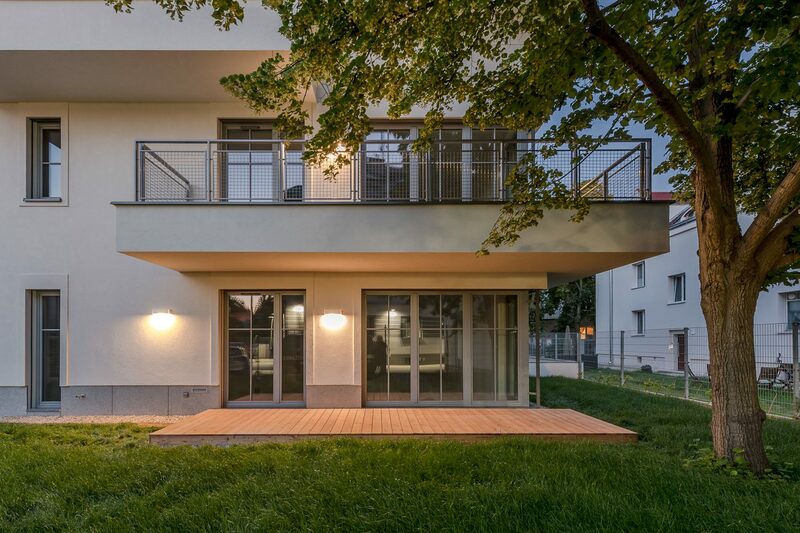 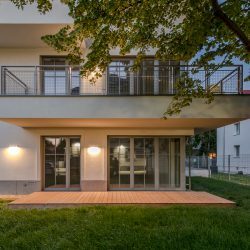 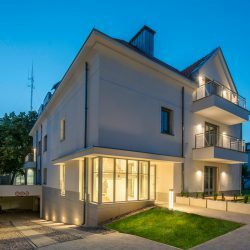 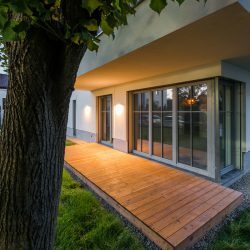 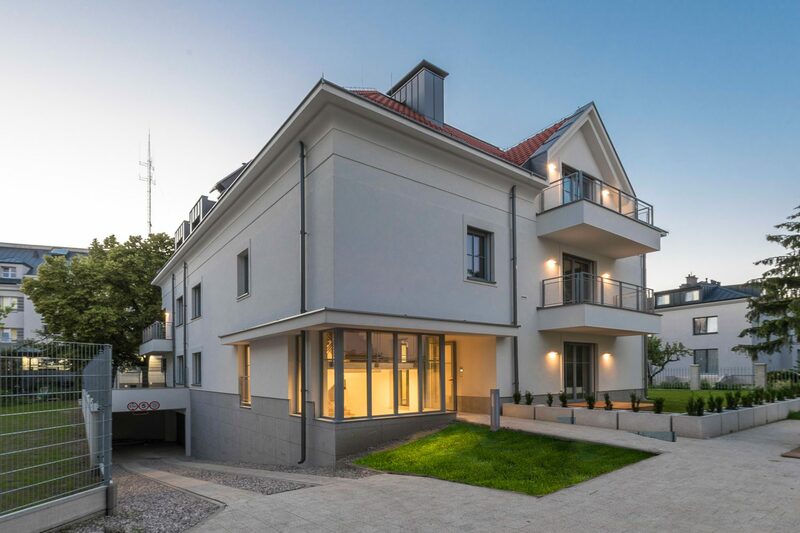 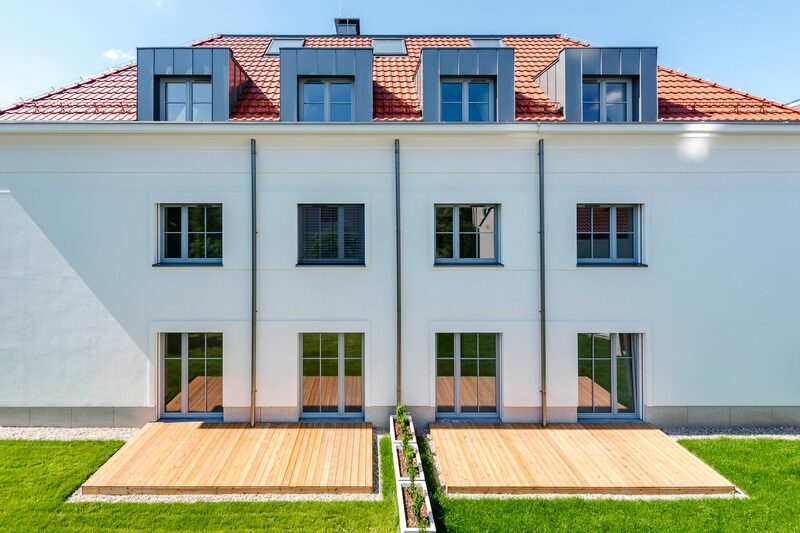 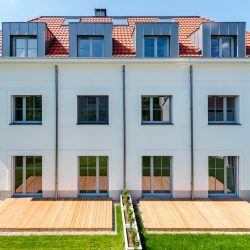 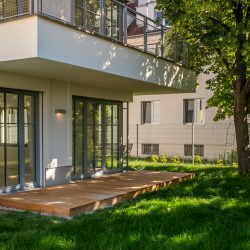 Developed in the area of Old Sadyba in Żegiestowska Street, Villa Sadyba fits in well into the atmosphere of its exclusive residential surroundings and into the climate of the interbellum modernism. 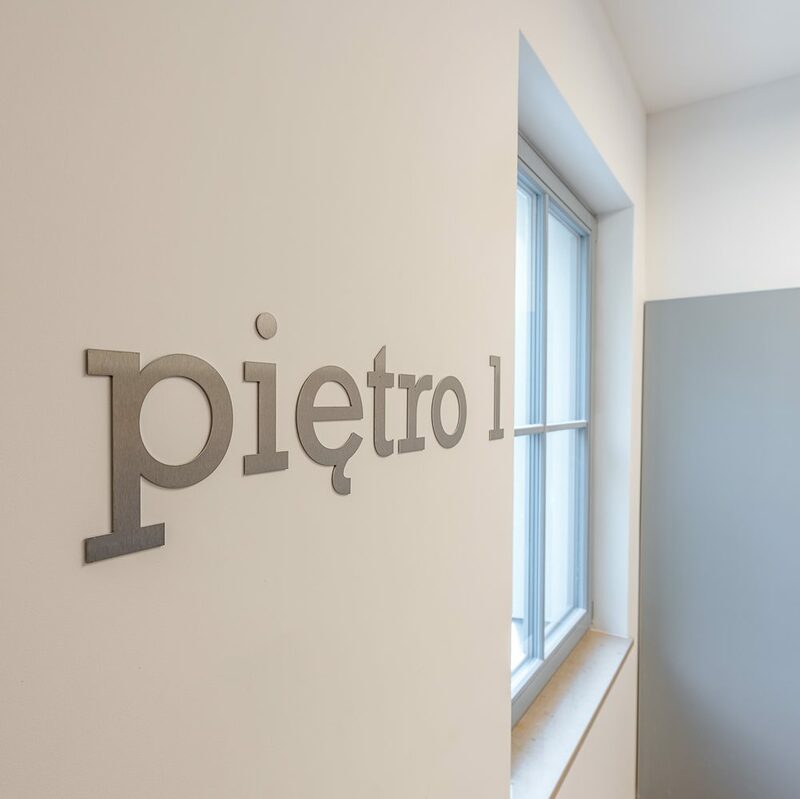 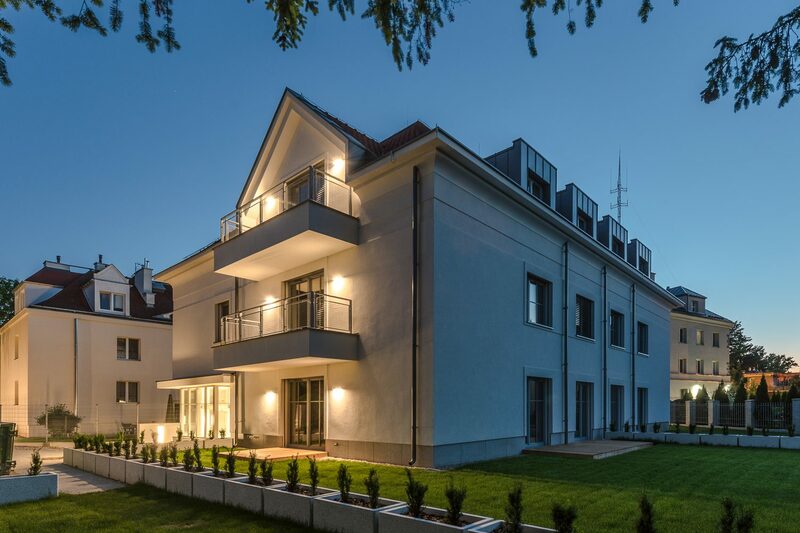 The interiors as well as the façades have been constructed using premium quality materials. 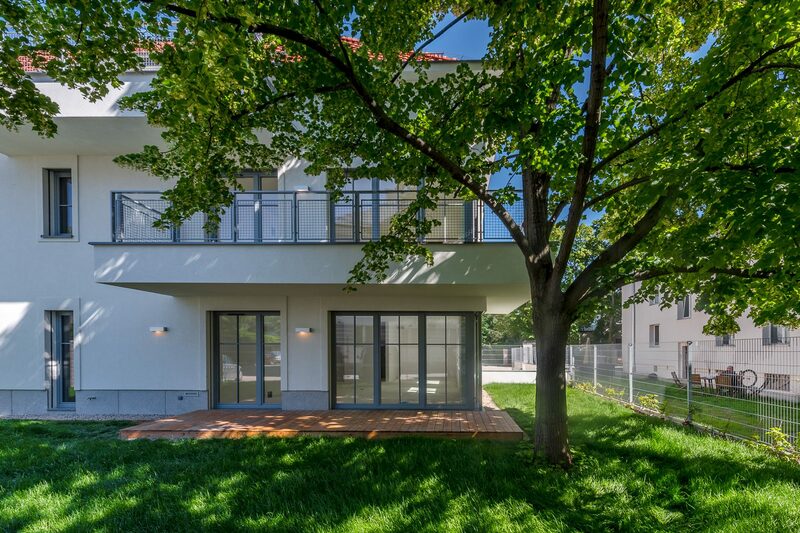 The villa is surrounded by landscaped green area enclosed by fence, which will provide its residents with a sense of intimacy and security. 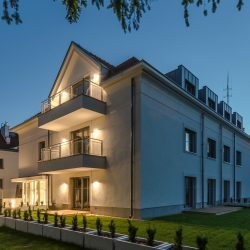 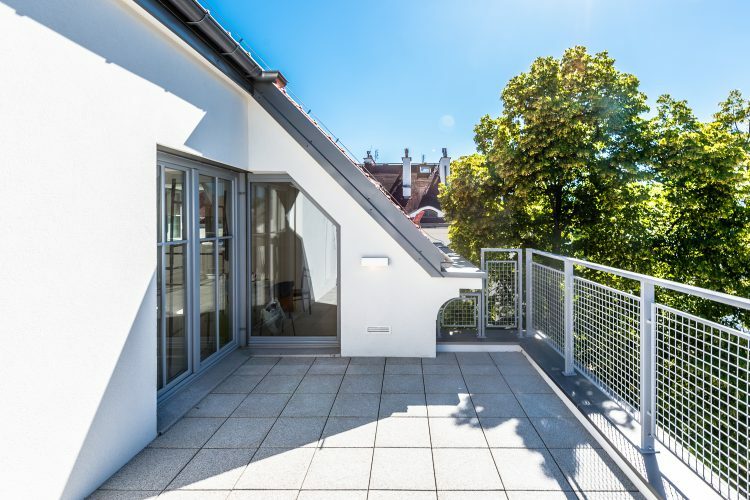 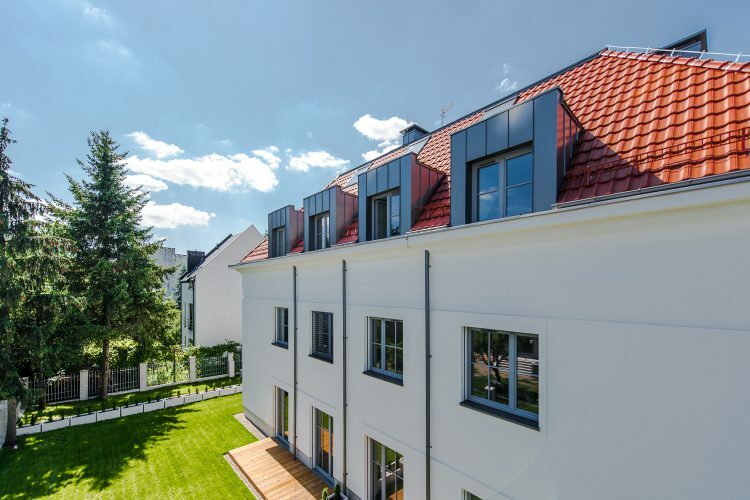 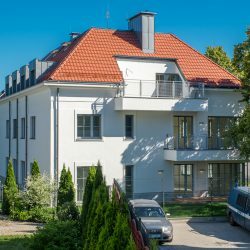 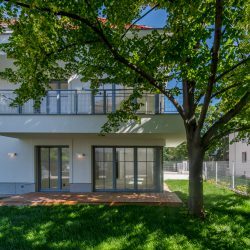 Altogether, Villa Sadyba features 6 apartments with floor areas ranging from 77 to 176 m2 on 3 above-ground storeys with independent entrances from the stairwell. 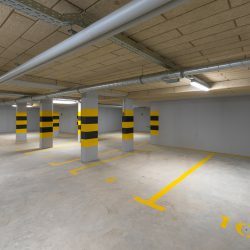 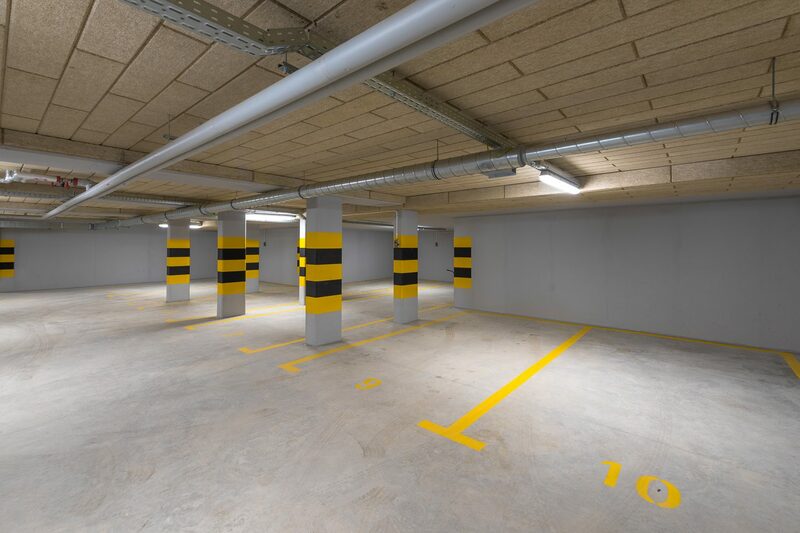 Under the building, there is an underground car park with 12 parking spaces – two for each apartment. 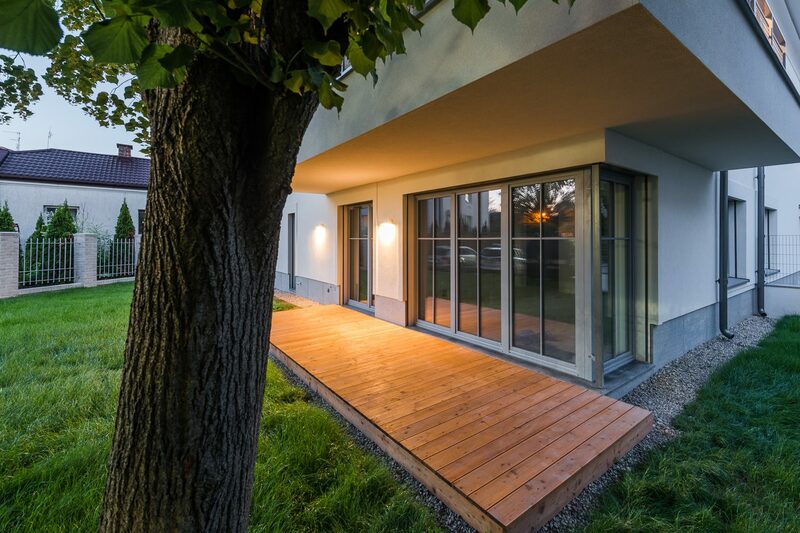 The infrastructure of Villa Sadyba is modern, energy-saving and ergonomic. 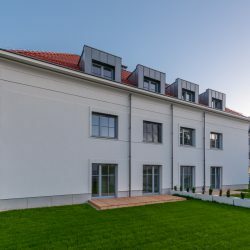 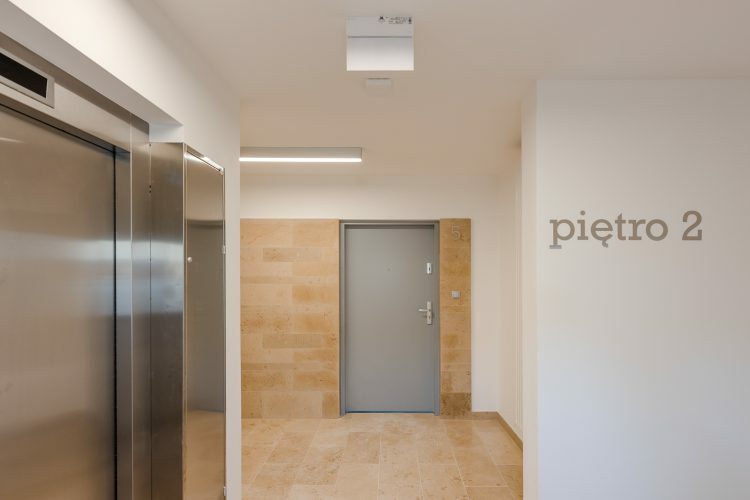 The building is equipped with a lift, a heat pump, wooden window frames, single-chamber glazing, a burglar-proof front door along with technical and telecommunication infrastructure, including door entry intercom, broadband Internet and CCTV security system. 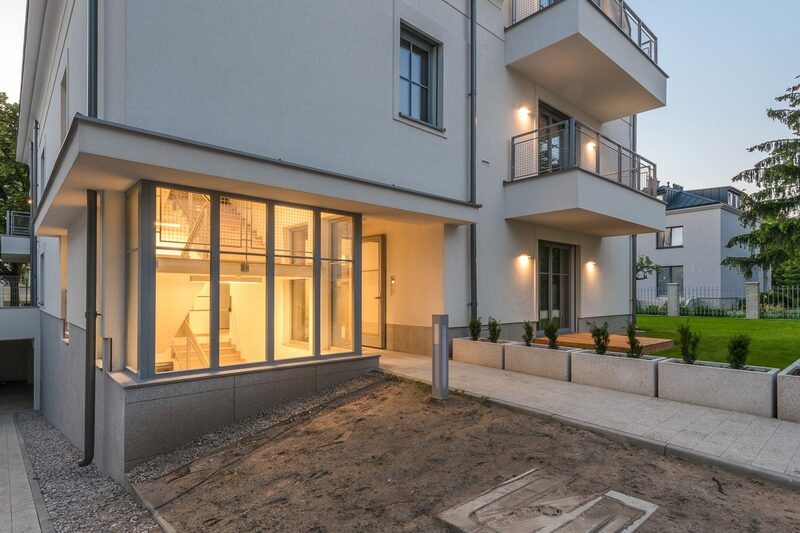 Each apartment is fitted with a fireplace and floor heating is installed in all living spaces. 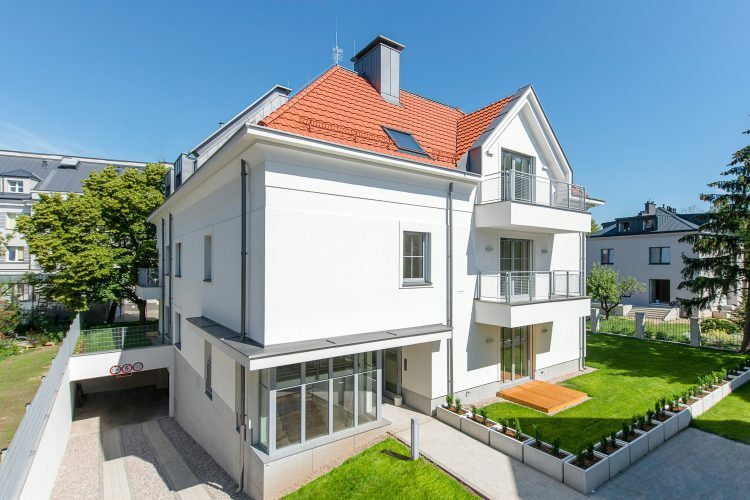 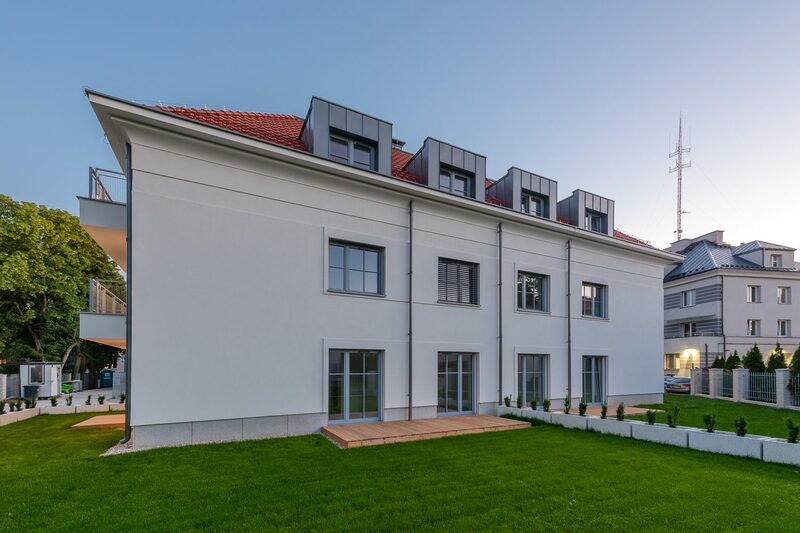 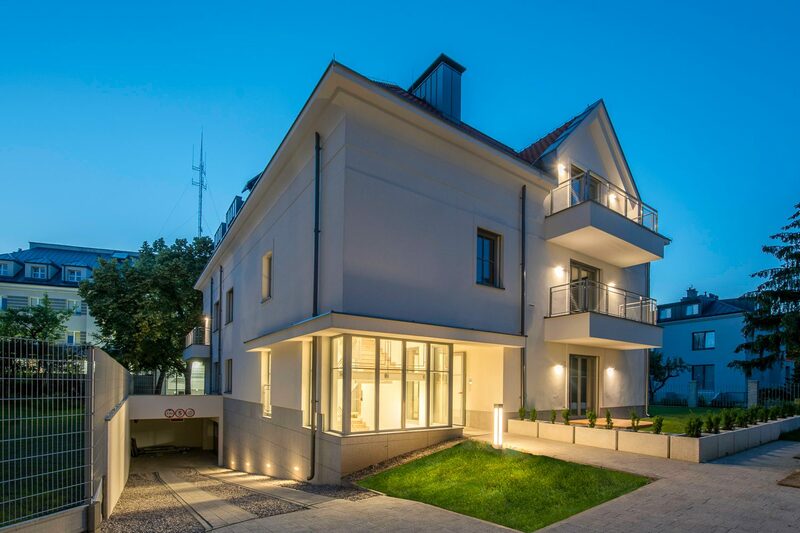 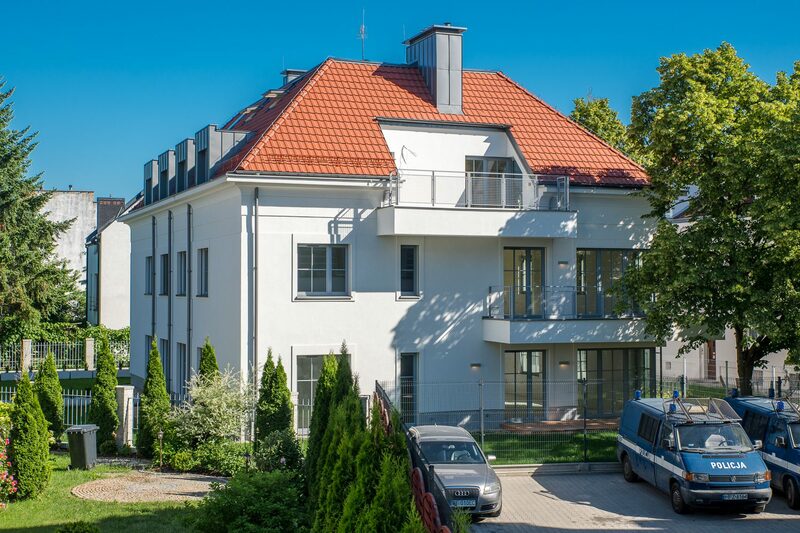 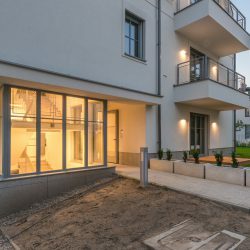 Villa Sadyba is the first commercial investment developed by Eiffage Immobilier Polska (EIP) as an investor. 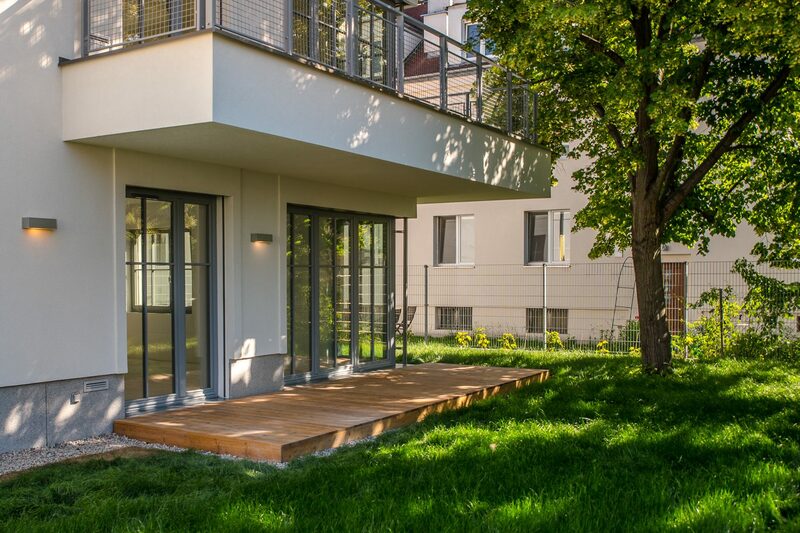 The general contractor for the project was Eiffage Polska Budownictwo (EPB).